Make graphing fun with your children this summer by graphing the weather together! You can tune into your local news station or log onto The Weather Channel to get your daily local temperature. You may choose to keep a log of the temperatures and graph daily or weekly. Make your child a part of the decision making process and ask THEM how often they would like to graph. Depending on the age of your child/children, they may/may not have learned about different types of graphs in school. Below you will find the most common types of graphs and visual examples of each. Once you and your child decide which graph to create, discuss what aspects of the graph need to be present. Scale with an appropriate interval (most of the times this is on the Y axis, depending on how the graph is labeled). 1. Which week had the highest overall temperature average? 2. What is the sum of the temperatures in Week 3? 3. What is the difference between the hottest day and the coolest recorded day? What a great way to promote learning and get those brains working… even if it is summer! One of the wonderful things about being a teacher AND mom is that I’m constantly trying to find ways to incorporate learning within everyday tasks! The following Math activity can easily be incorporated on a daily basis and can be enjoyed by children in grades K-6! Prior to planning the day’s errands, decide on a few ways in which Math can be practiced in the car. Using your child’s interests can be a HUGE motivator for them. For example, if your child really loves the color blue, have them count how many blue cars they see in a minute! Count how many seconds it takes to get into the car and buckle your seat belt. Depending on age/grade, help your child count how many seconds a yellow lights lasts. If you have to go to the library, count how many books are being returned. Count how many dogs are being walked. Ask your child to keep track of how many traffic lights are passed. How many of their favorite stores have you passed along the way? The possibilities are endless here and I hope this is a great start!! As a classroom teacher, I have witnessed first hand how my students have struggled with telling time on an analog clock. 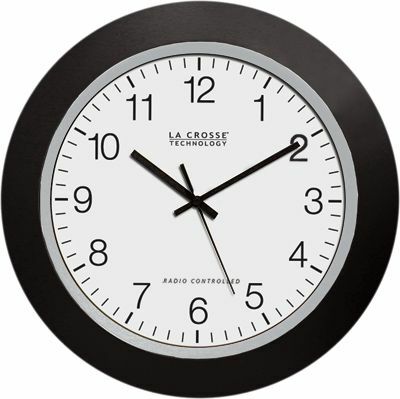 An analog clock is the clock pictured above. Nowadays, our children have cell phones, the cable box and digital clocks to tell them the time so WHY would they need to know the difference between the little hand and the big hand?? Well, because it’s an essential part of life! Activity-This activity is ideal to begin with children who are 4 years of age and older. For younger children, show them an example of an analog clock and a digital clock. Ask them to tell you a few ways that they are the same and different. Explain that both do help with telling time, but for the analog clock, THEY have to figure out the time using their number skills. For school-aged children, take it one step further and explain how the analog clock has a ‘small’ hand and a ‘large’ hand. The short hand tells the hour and the larger hand tells the minutes. After the analog clock introduction, begin timing your child’s favorite activities so that they may begin practicing telling time. **You may time ANY activity for ANY length of time depending on your child’s progress. Your child/children have gone shopping with you hundreds of times!! Time to let them do the shopping….with play money of course!! What you will need: play money-plastic coins and/or paper bills, empty cereal boxes, soup cans, empty snack containers, stickers to label items with their prices, pad, and pencil. Activity: This activity can be modified for children K-4th grade. Before creating the “grocery store,” label each grocery item with the purchase price. Then, choose an open area to set up the grocery store. It is now time to shop!!! Depending on the age of the child, you may want to start with small amounts of money first. For example, introduce the dollar bill and explain that 4 quarters = $1, 10 dimes=$1, etc…. You may then give your child a specific budget to shop with. If you give them $5, ask them to buy as much as possible without going over their budget. Let them continue shopping without interfering. Once they are finished, add up the prices of the groceries items and discuss with your child the strategies that they used in order to stay within budget OR if they went over their budget, discuss what they could do the next time. If your child/children stayed within budget, work with your child to figure out how much money they should get back from you, the cashier. Play this game as often as you’d like~making it a little more challenging each time. Challenge Activity: To make this more challenging, you may set out more grocery items, set a higher budget and/or ask your child to tell you what the ‘cashier’ owes them!